Austin, TX – February 12, 2017 – Smith Wealth Advisors, an independent Austin wealth management firm located at 3321 Bee Caves Road, Suite 272, Austin, Texas, has added Cindy Mikel to the team as a Investment Advisor Representative in alignment with the firm’s expansion strategy. Cindy has a Bachelor of Music degree from Texas Tech University, a Master of Music degree from The University of Texas at Austin and a Doctor of Jurisprudence degree from The University of Texas School of Law. Her experience includes a distinguished, 28-year career as a band director in schools throughout central Texas and 7 distinguished years with Planto | Roe Financial Services of San Antonio. 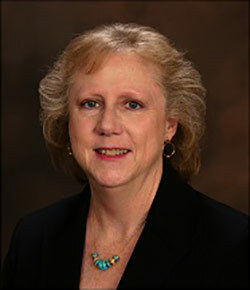 Cindy’s responsibilities include all client services, new business development and account management. Smith Wealth Advisors is a full-service Austin financial services and consulting firm offering its clients guidance and financial advisory services in retirement planning, investment research, Securities products, 401(k) management and access to global capital markets. Smith Wealth Advisors is a registered Member of FINRA and SIPC and is regulated by the office of the Texas Secretary of State. All Brokerage, investment and financial advisory services carry risk. Smith Wealth Advisors cannot guarantee future financial results. 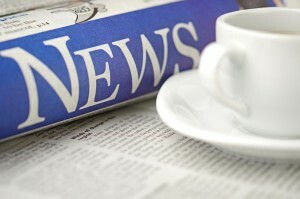 Smith Wealth Advisors may not provide tax or legal advice. Always consult a tax expert or attorney regarding specific legal and tax related matters. For further information call: 512-777-9161 or visit www.SmithWealthAdvisors.com today. 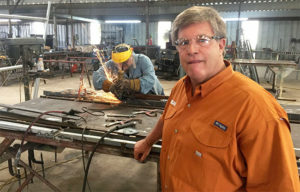 Austin, TX – November 30, 2017 – Smith Wealth Advisors client and Metalink Owner, Bill McKean has been featured in a news profile in ConstructionNews.net, a prominent national construction industry publication. You can access the article here. 512-330-9161 or visit www.SmithWealthAdvisors.com today. Austin, TX – June 2, 2017 – Smith Wealth Advisors, an independent Austin wealth management firm located at 2901 Bee Caves Road, Suite H, Austin, Texas, is once again proud to be a Silver Sponsor of the 2017 Dell Make-A-Wish Charity Golf Tournament being held on Friday, June 2 at the Cowan Creek golf course in Georgetown, Texas SWA Founder Ron Smith announced today. Following the tournament, which supports Make-A-Wish Central & South Texas, there will be a silent auction and raffle. Make-A-Wish grants the wishes of children with life-threatening medical conditions to enrich the human experience with hope, strength and joy. According to a 2011 U.S. study of wish impact, most health professionals surveyed believe a wish-come-true can have positive impacts on the health of children. Kids say wishes give them renewed strength to fight their illness, and their parents say these experiences help strengthen the entire family. With the help of generous donors and more than 250 volunteers, Make-A-Wish Central & South Texas has granted more than 4,200 wishes to children in 40 counties since 1984. During the last year, volunteers and donors made it possible for 238 kids to experience the magic of a wish. 1-800-880-9474 or by visiting www.cstx.wish.org. Please help spread the word about our wish-granting work. A wish experience can truly change a child’s life…and so can you. For more information about Make-A-Wish, visit www.cstx.wish.org. Austin, TX – March 9, 2017 – Smith Wealth Advisors, an independent wealth management firm located at 2901 Bee Caves Road, Suite H, Austin, Texas, will host, for the second year, a hospitality cabin featuring a front row view of Lake Austin on the 13th fairway of the Austin Country Club golf course during the Dell Match Play Golf Tournament March 22 – 26, Founder Ron Smith announced today. The event is part of the International Federation of PGA Tours World Golf Championships series. Smith Wealth Advisors is a full service Austin financial services and consulting firm offering its clients guidance and financial advisory services in retirement planning, investment research, Securities products, 401(k) management and access to global capital markets. Smith Wealth Advisors is a registered Member of FINRA and SIPC and is regulated by the office of the Texas Secretary of State. All Brokerage, investment and financial advisory services carry risk. Smith Wealth Advisors cannot guarantee future financial results. Smith Wealth Advisors may not provide tax or legal advice. Always consult a tax expert or attorney regarding specific legal and tax related matters. For further information call: 512-330-9161 or visit www.SmithWealthAdvisors.com today. Austin, TX – August 24, 2016 – Smith Wealth Advisors, an independent Austin wealth management firm located at 2901 Bee Caves Road, Suite H, Austin, Texas, has hired Jonathan Scott Beck as a Financial Advisor as part of the firm’s expansion strategy. 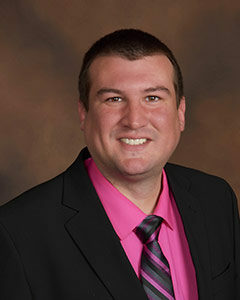 Jonathan is a graduate of Midwestern State University with a BBA in Management Information Systems. His experience includes a year with Wells Fargo Bank and has donated his time as a volunteer with the Special Olympics and the Wells Fargo Hotter-N-Hell Rest Stop. Jonathan’s responsibilities include new business development and account management. Austin, TX – April 27, 2016 – Smith Wealth Advisors, an independent Austin wealth management firm located at 2901 Bee Caves Road, Suite H, Austin, Texas, is proud to be a Silver Sponsor of the 2016 Dell Make-A-Wish Charity Golf Tournament being held on Friday, May 13 at the White Wing and Cowan Creek golf courses at Sun City in Georgetown, Texas SWA Founder Ron Smith announced today. Following the tournament, which supports Make-A-Wish Central & South Texas, there will be a silent auction and raffle. Austin, TX – February 29, 2016 – Smith Wealth Advisors, an independent wealth management firm located at 2901 Bee Caves Road, Suite H, Austin, Texas, will host a hospitality chalet featuring a front row view of Lake Austin on the 13th fairway of the Austin Country Club golf course during the Dell Match Play Golf Tournament March 23 – 27, Founder Ron Smith announced today. The event is part of International Federation of PGA Tours World Golf Championships series. Smith Wealth Advisors, is a full service financial services and consulting firm offering its clients guidance and financial advisory services in retirement planning, investment research, Securities products, 401(k) management and access to global capital markets. Smith Wealth Advisors is a registered Member of FINRA and SIPC and is regulated by the office of the Texas Secretary of State. All Brokerage, investment and financial advisory services carry risk. Smith Wealth Advisors cannot guarantee future financial results. Smith Wealth Advisors may not provide tax or legal advice. Always consult a tax expert or attorney regarding specific legal and tax related matters. For further information call: 512-330-9161 or visit www.SmithWealthAdvisors.com today.